Despite some middling reviews, Venom made a big and slimy pile of money over the weekend, ensuring that Sony’s new line of Spider-Man-free Spider-Man spin-offs will live on. Next up is apparently Morbius, the movie about Marvel’s “living vampire” that will star Jared Leto as the blood-sucking man himself, and producers Avi Arad and Matt Tolmach recently sat down with Collider to reveal that the project is actually moving into production as early as February. They confirmed that Leto is “definitely” starring, so it looks like there’s no getting out of this one for us, and Arad even noted that it’s easier to get movies like this off the ground now because actors like Leto and Venom’s Tom Hardy want to be able to “own” a character that “they love.” Basically, it sounds like he’s saying that reaching out to an actor like Leto with an offer to be a comic book character won’t really work, because these Leto-types want to be directly involved in creating their own version of a specific character they already like. 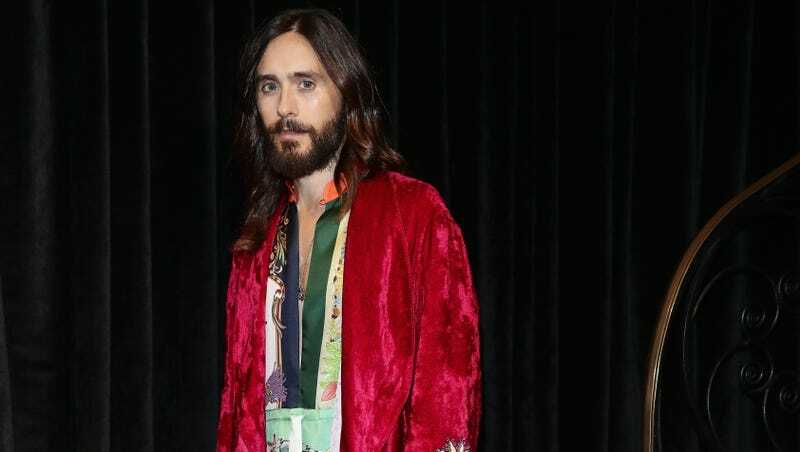 We’re not sure why anyone would be drawn to Morbius in particular, but all that matters is that Jared Leto is happy with his choices. Collider also touches on the current trend of demanding that all dark superhero movies have an R-rating, noting to Arad and Tolmach that the tone of a story about Morbius—who is basically just a vampire—could go “a whole bunch of different ways.” Arad didn’t say anything specific about the Morbius script, which was written by Dracula Untold’s Matt Sazama and Burk Sharpless, but he did say that the studio would be willing to go to an R-rating “if the success of the story depends on being R-rated.” That being said, he has grandkids that really like superhero movies, so he would like to be able to them to see movies like Venom and Morbius. That sounds a little selfish to us, but we can’t imagine how hard it must be to impress a jaded grandchild in 2018. Maybe Arad could push for Morbius to get an R-rating and then learn some Fortnite dances to make up for it?